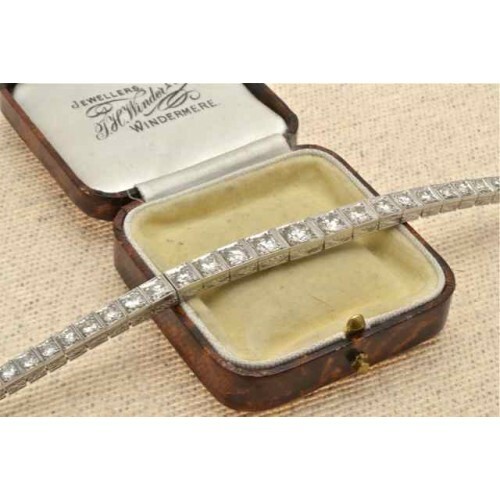 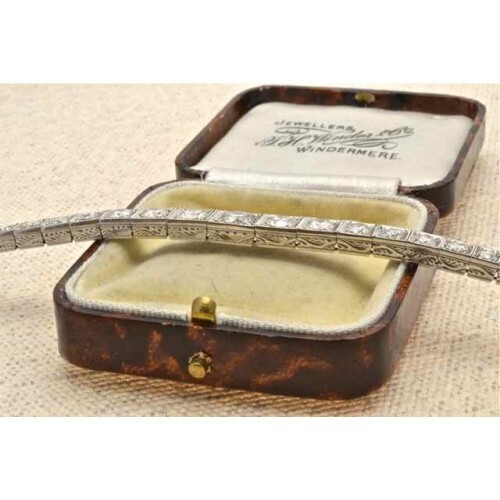 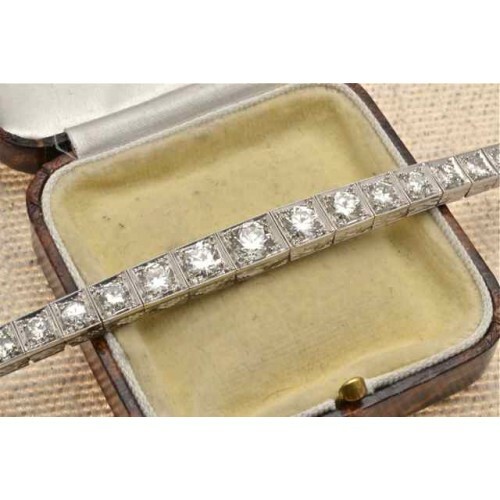 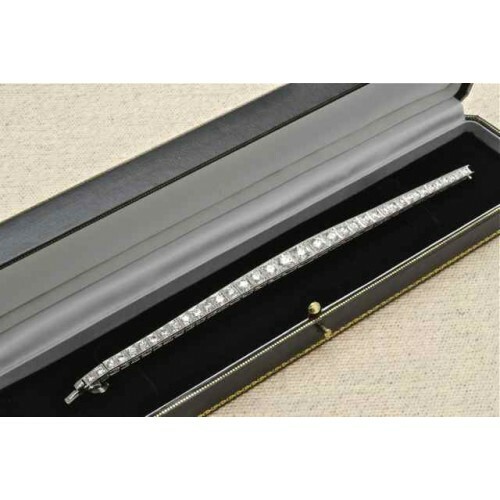 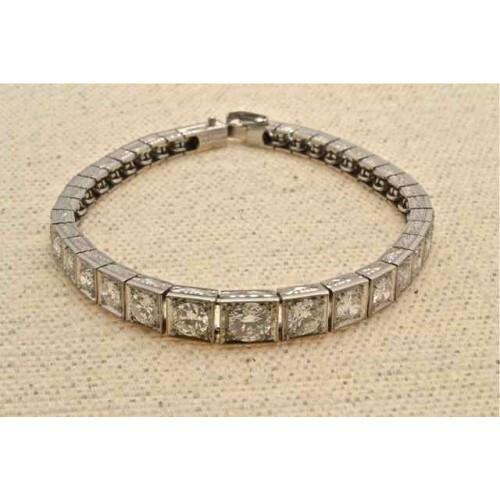 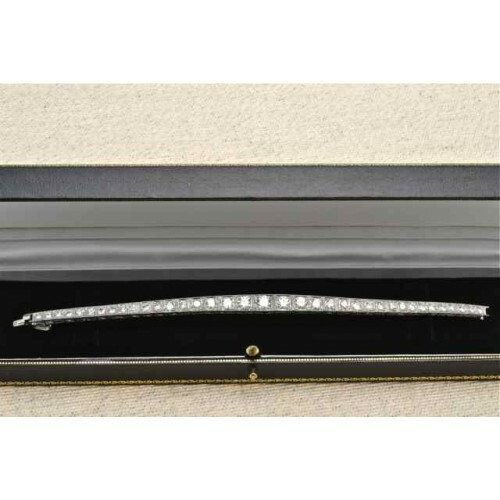 Antique Platinum set Diamond line bracelet, having 37 graduated old cut diamonds in box channel setting, the centre diamond weighs circa 75 points and the total weight of the diamonds is 6 carats. 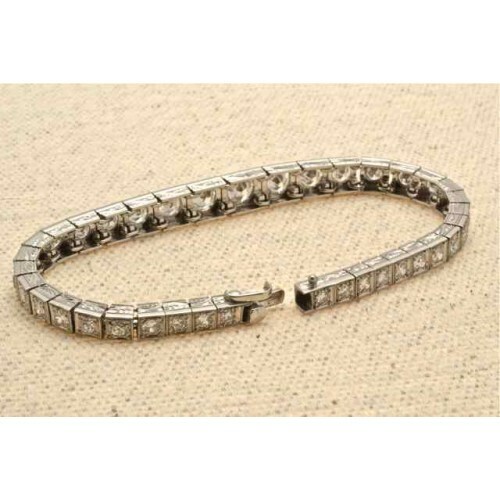 H Colour, SI Clarity. 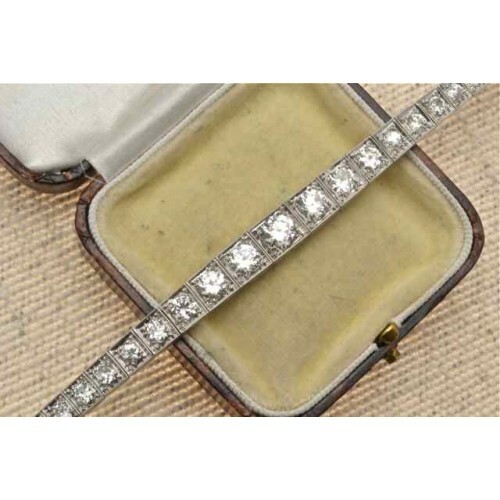 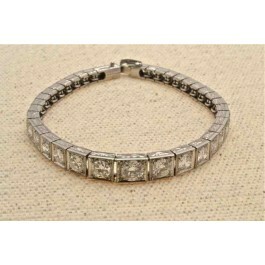 An integrated clasp ,Circa 1930.The bracelet has beautiful hand engraving along each side.